HomeTrust Bank is proud to be a sponsor for the Forget-Me-Not Garden Gala. 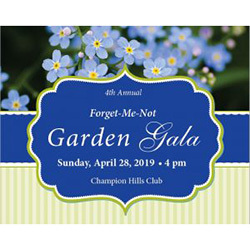 During the 4th Annual Forget-Me-Not Garden Gala, the community gathers at the beautiful Champion Hills Club in Hendersonville to sip cocktails, savor epicurean bites, and support Four Seasons trusted end-of-life care. This annual event is a wonderful place to connect to community members who care about the community, as well as the volunteers, staff and clinical providers who made a loved one’s care possible. For more information or to register for this event visit the Forget-Me-Not Garden Gala webpage.